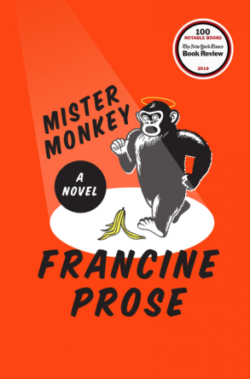 Writer Francine Prose talks about her acclaimed new novel, Mr. Monkey. It’s about art, ambition, childhood, aging, and love — and a very bad children’s musical. 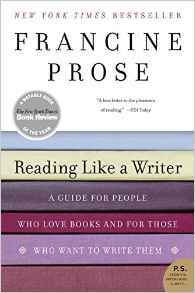 Then, we replay our 2006 interview with Prose about her book on writing, Reading Like A Writer. Francine Prose is an amazingly prolific writer – 18 novels, 3 short story collections, plus many essays and even a children’s book. We’ve already interviewed her on this show about five of her books. But her latest, Mr. Monkey, could be her best novel yet. You wouldn’t think that a novel about a bad children’s musical would be so entrancing. But it is – filled with humanity, humor and the kind of wisdom that comes from many decades of deep thinking about the human condition, as all good novelists must. Plus, there’s a happy ending! Mr. Monkey is a true delight to read. The story follows a group of characters associated with the off-off-off Broadway children’s musical about a domesticated monkey accused of larceny. Francine Prose tells the story from the viewpoints of the characters whose lives become ever more deeply connected as the narrative unfolds. Francine Prose teaches literature at Bard College, and is a former president of PEN American Center. What’s the best way to learn to write? Do you have to spend thousands of dollars on an MFA program? What in the world did writers do before the Iowa Writers’ Workshop? They read good books, says Francine Prose. She’s taught writing by turning her students on to wonderful literature. In her book, READING LIKE A WRITER, she shares her insights with us. Tune in for some inspiring conversation with Prose, whether you are writing the next great American novel…or not. Also, listen to our interview with Frances Moore Lappé and Adam Eichen about their new Field Guide to the Democracy Movement. It’s the latest episode in our new online series, What You Need To Know.